We provide you with the most recent evolution in comprehensive oral care available in a pleasant and personal setting. We are proud to provide a state-of-the-art facility, delivering the highest quality dental care available. Protecting the well-being of our valued patients is one of our top priorities. For this reason, our office meets and surpasses all OSHA (Occupational Safety and Health Administration) and CDC (Center for Disease Control) standards. We welcome all patients as we would our own family. We're confident you'll feel right at home in our office. Dr. Mazyar Afshar and his exceptional team are proud to serve the Portland Metro community and constantly strive to provide exceptional dental care for all of their patients. Dr. Afshar annually receives hundreds of hours of continued training in cosmetic and general dentistry, as well as advanced special training and certification in limited surgical, periodontal, endodontic and orthodontic dentistry. Dr. Afshar and his team are dedicated to the newest advancements in dentistry and utilize only the latest technologies to create exceptional experiences for his many patients. Dr. Afshar provides care for a variety of patients - some as young as 2 and some as wise as 95. 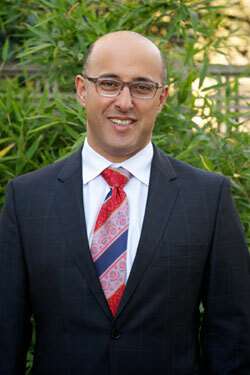 Dr. Afshar also takes the time to be involved and active within his dental community and is proud to be a good standing member of the AGD, OAGD, AAID, and Multnomah County and Washington County dental societies.